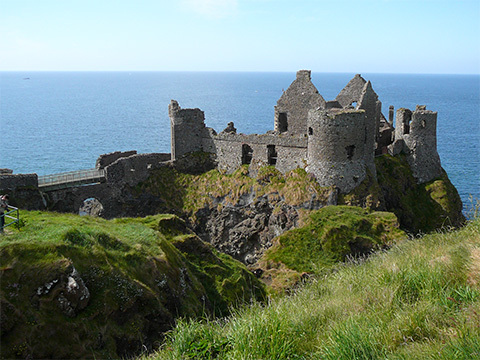 Dunluce castle is a medieval Irish castle sited dramatically close to the edge of a headland along the North Antrim Coast. 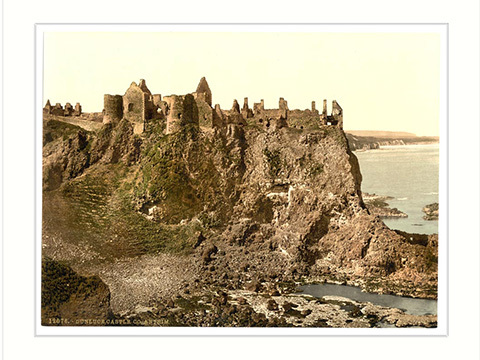 This medieval castle stands of the site of an early Irish Fort and its history can be traced to early Christians and Vikings.Dunluce has a rich and varied history borne out of bloodshed in battles. Well known names include the MacQuillan family in 1513 and later the MacDonnell Clan from Scotland who were its last occupants. 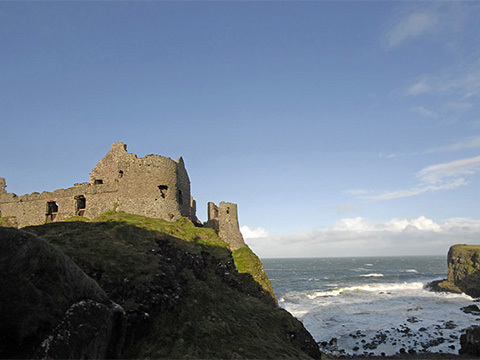 Dunluce castle served as the seat of the 1st Earl of Antrim, a title conferred by Queen Elizabeth on Randall MacDonnell. A galleass from the Spanish Armada called the Girona was wrecked in a storm on the nearby rocks. The cannon from the ship were installed in the gatehouses and the rest of the cargo sold, the funds used to restore the castle. 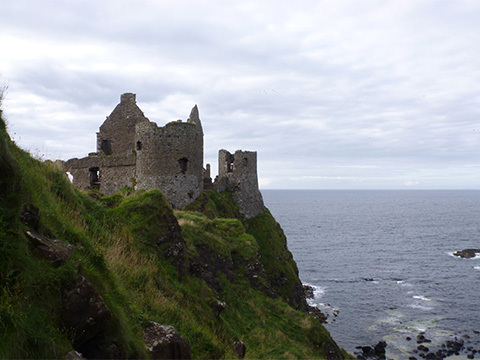 It is reputed that part of the kitchen, next to the cliff face collapsed into the sea, after which point the owner’s wife, a woman from London, refused to live in the castle any longer. 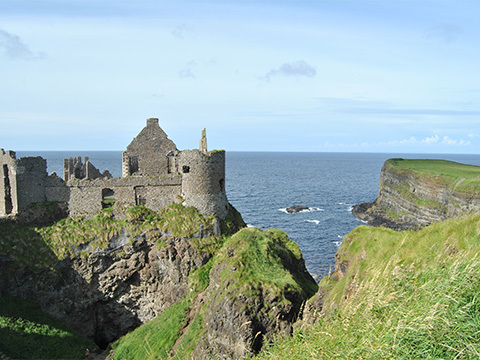 Following the Battle of the Boyne in 1690 the MacDonnells fell into impoverishment and subsequently the castle deteriorated. There is a visitor centre, shop and guided tours. Tours available Easter to September and pre-booked available out of season. Limited disabled access.